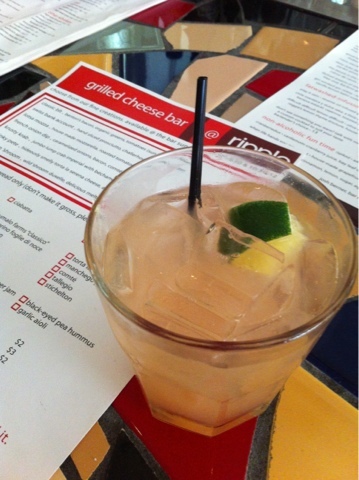 Jen and I made plans to meet at Ripple for happy hour, which was great because I'd been dying to try the grilled cheese bar. The hours aren't so friendly to Washington workaholics because you have to get there before 6:30 (or after 10). But if you do, you'll be rewarded with a ooey gooey crispy set up pre-selected combos or you can get all DIY and make your own. As with all things Ripple, you must start off with one of Josh's custom cocktails. I asked for gin and refreshing. I got a house infused gin with grapefruit soda combo that was perfect to combat the day's heat. 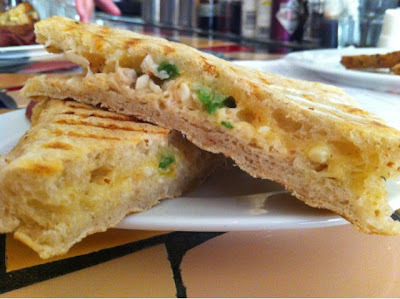 I ordered the Krusty Krab grilled cheese which is made with Cowgirl Creamery Mount Tam cheese, Maryland crab and sugar snap peas. 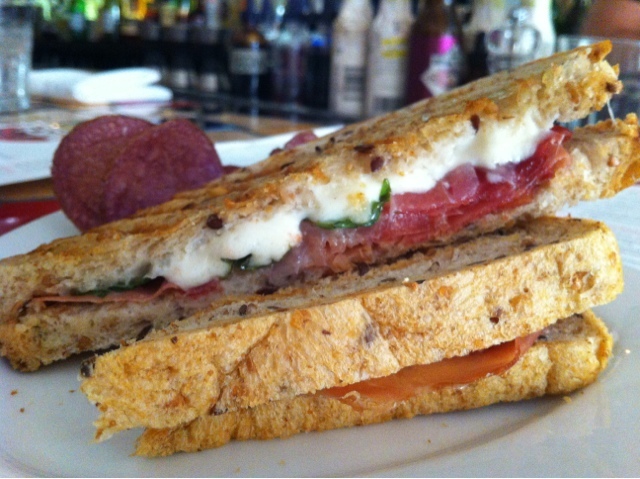 Everything in this gorgeous sandwich comes from nearby! We also tried the Lotsa Mozza which is made with proscuitto, mozzarella and arugula. So, make plans to sneak out of work early and try your hand at making the best grilled cheese combo. Ripple is located in Cleveland Park at 3417 Connecticut Avenue in Washington, DC.